The Gulf Centre for Human Rights, the Iraqi Observatory for Human Rights, the Metro Centre for Journalist Rights and Advocacy, Front Line Defenders, and the Iraqi Civil Society Solidarity Initiativesubmit this report to inform the examination of Iraq during its Universal Periodic Review (UPR) in November 2019. This submission focuses on the situation of human rights defenders and journalists in Iraq and in the Kurdistan Region of Iraq, freedom of expression and opinion, freedom of assembly and association and the situation with regards to women human rights defenders. Since Iraq’s last UPR review in 2014, Iraq’s war against Da’esh (previously known as the Islamic State of Iraq and the Levantor ISIL) has caused the displacement of six million Iraqis – around 15 per cent of the entire population of the country. 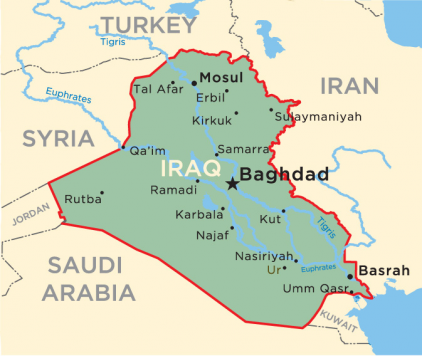 In December 2017, former Iraqi Prime Minister Haider al-Abadi declared the end of the country’s war against Da’esh. As Iraq transitions from a period of conflict, human rights defenders and civil society at large continue to play an important role in influencing the future direction of Iraq and its compliance with international human rights standards and democratic principles. Following its last UPR review in 2014, Iraq accepted the recommendations to continue its efforts to promote and protect human rights in the country and to guarantee and create an enabling environment for the activities of journalists, human rights defenders and civil society. However, human rights defenders and civil society organisations have been operating at immense risk and we have documented a high number of killings, repression, threats and violence against human rights defenders, civil society organisations and journalists during the current reporting period. Since 2014, there has been a proliferation of demonstrations in Iraq and the Kurdistan Region of Iraq for an improvement in basic service provision and the protection and promotion of economic and social rights. A large number of violations have been recorded during these protests, such as the arbitrary arrest of protesters and the use of disproportionate violence and repression by security forces. There has been an alarmingly high rate of injuries and killings at protests, with a worrying trend towards brutal retaliation and repression against journalists covering the protests. This submission first sets out patterns of violations against human rights defenders in Part II. Part III will elaborate on violations relating to freedom of expression and opinion, with a specific focus on journalists in Iraq and the Kurdistan Region of Iraq. Finally, Part IV will examine the increasingly restrictive and repressive environment for exercising the right to freedom of assembly and association. In this respect, the report will focus on violations in the context of protests calling for the provision of basic services and economic and social rights, in both Iraq and the Kurdistan Region of Iraq.